Stroke can devastate mental and physical well-being, but lifestyle changes, combined with medication, can reduce your risk of further stroke by 80 percent. This easy-follow, expert guide includes advice on how to make the most of medical treatment and maximise your chance of full recovery after stroke. 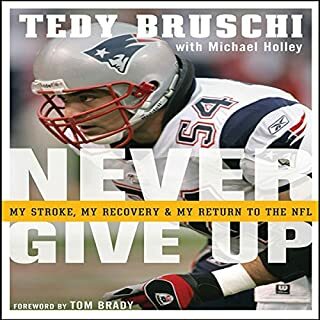 As a linebacker for the New England Patriots, who had just won their third Super Bowl in four years, Tedy Bruschi was no stranger to pain or to overcoming a challenge. But even 11 years in the NFL had not prepared him for what happened at four o'clock in the morning on February 16, 2005. Great book; recording missing a good chunk of it. A new epidemic is sweeping the country. Some people call it ADHD, scatter brain, or brain fog. Some simply say they just don't feel like themselves - and haven't for a long time. People are thinking and feeling worse than ever. Why? Because our brains are not getting the support they need to produce the essential brain chemicals that keep us energized, calm, focused, and inspired. Stroke is one of the UK's five main killers (the others are heart disease, cancer, and lung and liver disease). Nearly 1.2 million in the UK have survived a stroke - and so are at risk of another. Stroke is preventable. Up to 10,000 strokes a year could be prevented if more people sought help from A&E earlier. Stroke affects around 150,000 people each year in the UK, with about 49,000 episodes proving fatal. 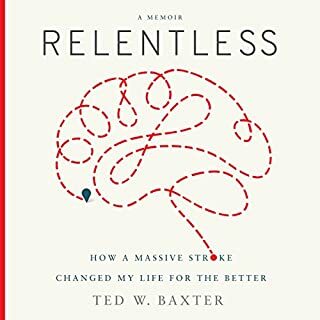 This book aims to help people prevent another stroke (or another cardiovascular event) and to live a full life after a stroke. Lauren Marks was 27 when an aneurysm ruptured in her brain and left her fighting for her life. She woke up in a hospital soon after with serious deficiencies to her reading, speaking, and writing abilities, and an unfamiliar diagnosis: aphasia. This would be shocking news for anyone, but Lauren was a voracious reader, an actress, director, dramaturg, and pursuing her PhD. At any other period of her life, this diagnosis would have been a devastating blow. But she woke up...different. Abby Maslin shares an inspiring story of resilience and commitment in a deeply affecting new memoir. After her husband suffered a traumatic brain injury, the couple worked together as he recovered - and they learned to love again. The best book I have ever listened to on audible. Christine Hyung-Oak Lee woke up with a headache on New Year's Eve 2006. By that afternoon she saw the world - quite literally - upside down. By New Year's Day, she was unable to form a coherent sentence. And after hours in the ER, days in the hospital, and multiple questions and tests, she learned that she had had a stroke. For months Lee outsourced her memories to her notebook. It is from these memories that she has constructed this frank and compelling memoir. 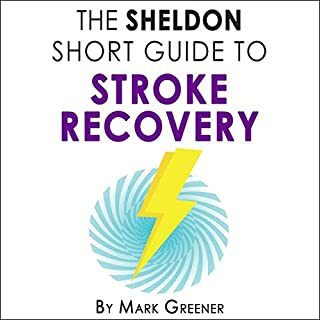 If you're interested in listening to this audiobook, it likely means you or someone you love has had a stroke. Dealing with the onslaught of information about stroke can be confusing and overwhelming. And if you happen to be a stroke survivor with newly impaired language skills, it can be especially hard to comprehend everything your doctors, nurses, and specialists are telling you. This audiobook consists of the top 100 questions that survivors and their families ask, with answers from the top physicians and therapists in the country. The questions start out basic but then get more specific to address different areas of recovery. 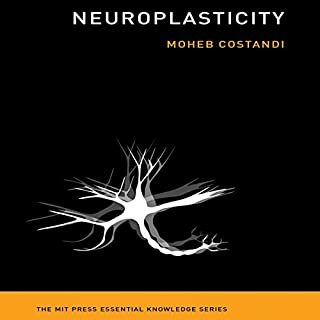 And, for stroke survivors still struggling with reading comprehension, or for family members who are simply too tired to read long passages, there are takeaway points at the end of each chapter to help simplify everything. What is a stroke, and who is at risk for one? What is the best diet for a stroke survivor? How does group therapy compare to individual therapy? What should a stroke survivor look for in a therapist? How long will it take to recover, and how can stroke survivors maximize their recovery? What can someone do to prevent having another stroke? 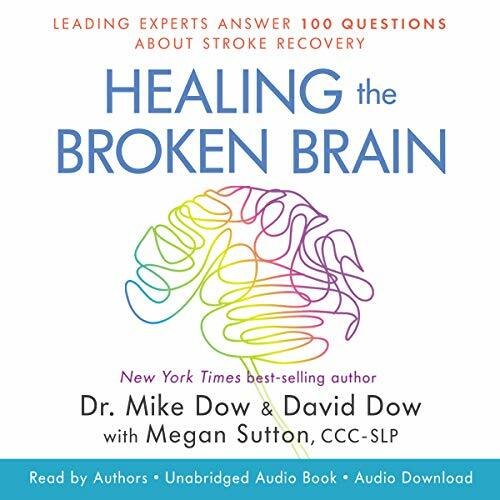 In this audiobook you'll gain a wealth of information, inspiration, advice, and support as you navigate your journey through stroke recovery. 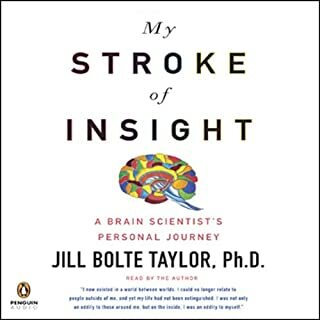 Such an important book for stroke survivors and family members. 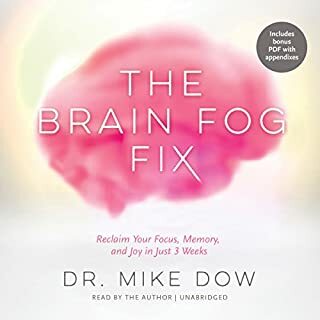 Our young, healthy son suffered a hemorrhagic stroke and we were completely unprepared...We listened to the audible version and will be purchasing a hard copy to refer back to as well. VERY INFORMATIVE, EASY READ FOR ME WITH MY BROKEN BRAIN. VERY GOOD TIPS FOR REHAB. I bought and listened to this book while recovering from brain surgery to remove a tumor. While I technically didn’t have a stroke, I was experiencing similar issues. I found this book informative, engaging, and motivational.